° The Bonita Apartments are situated off of the highly walkable Henderson Avenue. A variety of restaurants, boutiques and nightlife spots are just around the corner. Community amenities include off-street gated parking, controlled access entry and an onsite laundry facility. Nearby hotspots include Lower Greenville, Deep Ellum, Shopping on Knox, easy access to SMU and US-75. Tours conducted Monday through Saturday. ° Completely renovated and centrally located, this quaint, gated property has just eleven 1 bedrooms with ultra-modern design and particular attention to detail. The open floor plan features new wood and slate tile flooring, designer cabinetry, chrome hardware and finishes, premium stainless appliances, chic tile appointments and more. Select units offer sliding barn doors into the bedroom and private patio area. The Kirby offers controlled access entry, gated parking, digital lock-key, and new central climate control systems. Walking or biking distance to Ross, Henderson, Northpark, SMU and the Katy Trail! ° Additional Info: Pets allowed, unfurnished, W/D connections incl., available now, 0 covered parking space(s), Dallas ISD. ° Introducing Magnolia at Lakewood, a boutique apartment community located off Gaston Avenue in the acclaimed Lakewood neighborhood. 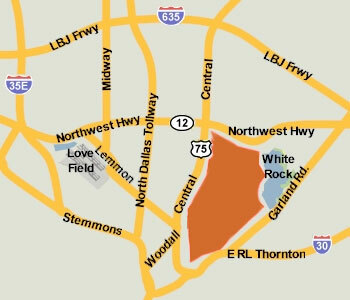 This popular East Dallas community provides a strategic blend of pedestrian-friendly options for fine dining, shopping, fitness and entertainment with walkable access to the White Rock trail, retail and restaurants. Located with 105 units, off Gaston Avenue at 2175 Tucker Street, Magnolia at Lakewood features expansive floor plans with amenities such as a technology package that includes built-in SonosÂ® stereo speakers in the living room and kitchen, KohlerÂ® Bluetooth showerhead, SchlageÂ® keyless entry locks, and stylish interior finishes. ° Additional Info: Pets allowed, unfurnished, available now, 15 covered parking space(s), Dallas ISD. ° Fully remodeled condo walking distance of shops, restaurants and grocery store. Custom cabinets, open concept kitchen, new stainless steel appliances, quartz countertops, subway tile, porcelain and marble in bathroom. All utilities included in rent! Come see this before it gets taken! ° Brand new high-end boutique apartment community one block from Greenville Avenue constructed with high efficiency products and systems, home automation system, built-in premium sound system, stainless steel appliances, granite countertops with undermount sinks, wood flooring, stand alone showers, gated community with FOB access controlled security and multiple cameras throughout property. ° Additional Info: Pets allowed limit 2, unfurnished, available now, 9 covered parking space(s), Dallas ISD. ° Additional Info: No pets allowed, furnished, no W/D connections, 0 covered parking space(s), Dallas ISD. ° Cute and cozy 2 bedroom apartment on 1st floor has 1 bath, 1 living area and one eating area. Includes gas stove and fridge, ceiling fans, laundry room on site. Large Eat in kitchen. Owner pays for gas and water. No dogs. Hardwood floors. Convenient to shopping, restaurants, and major roads. Near White Rock Lake and walking and biking trails. ° Additional Info: Pets allowed limit 2, unfurnished, available 5/10, 0 covered parking space(s), Dallas ISD. ° Nice mid-century modern 6-plex in Junius Heights. Exterior recently repainted. This is the lower center unit. Recent commercial plank flooring, fresh paint. kitchen updated recently with new counters and appliances. Large rooms, separate dining area. On-site laundry. Electricity usage is sub-metered. All Utilities are billed back to tenants from owner monthly so no need to set up in tenant's name. MAX OF THREE OCCUPANTS FOR THIS UNIT. ° Additional Info: Pets allowed limit 1, unfurnished, onsite W/D connections, 0 covered parking space(s), Dallas ISD. ° Fabulous duplex on first floor. Hardwood floors throughout. Fresh paint and HVAC.Kitchen renovated March 2017 including custom cabinets, granite, gas range, dishwasher and refrigerator. Complimentary washer and dryer in garage. One covered parking space. Security surveillance on property.Common large fenced backyard.Quiet long term neighbors.